Details of how the NCCPE has contributed to the guidance about public engagement in the Research Excellence Framework. In 2012 the National Co-ordinating Centre for Public Engagement (NCCPE) was invited by the Higher Education Funding Council for England (HEFCE) to submit a discussion paper about assessing the impact of public engagement to inform the guidance for the 2014 Research Excellence Framework (REF). We were pleased to see this advice informing the guidance provided by the Main Panels. In addition, in the run up to REF 2014 we ran workshops to help people develop their case studies and impact templates. Following the submission process we conducted a 'Lessons learned from the REF' workshop and once the case studies were published by HEFCE we spent many fascinating hours poring over the submissions. We launched a report that shares the key findings from that analysis and reflection – findings which we have tested iteratively with the sector through a variety of workshops and events since 2014. Public engagement is pervasive: 3108 of the 6640 case studies (47%) made some reference to engaging with the public. 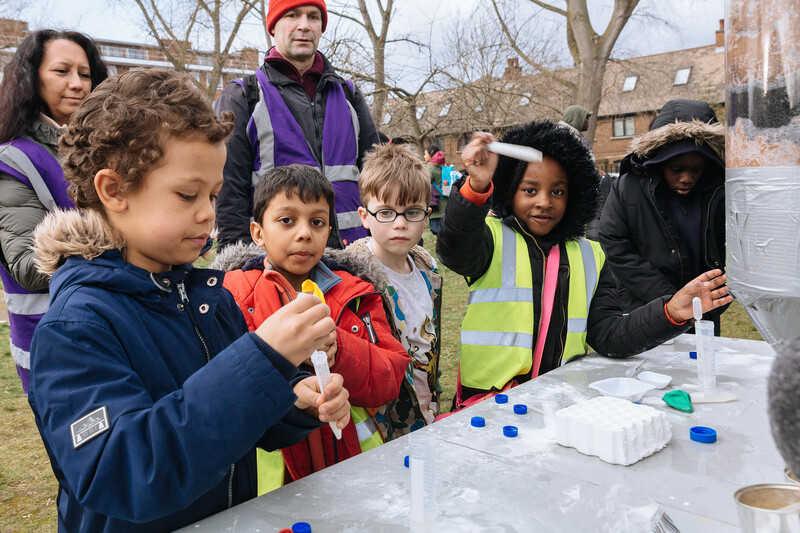 Public engagement can happen ‘alone’ but more often is integrated into a blend of external engagement, with policy or the professions, and very occasionally with business. Public engagement appears to be more prevalent in the Arts and Humanities: the extent of public engagement reported across the four main panels differed strikingly. There was surprisingly little public engagement reported in areas like medicine and public health. Different ‘flavours’ of public engagement feature in different discipline areas: for instance, ‘outreach’ is prevalent in physics. Public engagement is nearly always focussed on changes to understanding and awareness. Much more rarely is it foregrounded as a route to realising legal, technological or commercial impacts or more instrumental outcomes: many researchers default to a paradigm of public engagement as ‘dissemination’, and in the process limit its potential to contribute at all stages of the research cycle. The public are most often framed as an ‘audience’ for research findings, rather than as experts in their own right or as active participants in the process. Evidence provided of impact on public understanding and awareness is often weak: usually researchers limit their evidence to a list of the outlets they have used and the numbers of people engaged. Public engagement is often ‘mediated’ through the involvement of organisations like schools, broadcasters, charities or museums. There was no significant difference in the scores awarded to case studies featuring mentions of public engagement compared with those that don’t: anecdotally, there was nervousness in the sector that public engagement would be valued less highly than other types of engagement. This finding challenges that assumption. The report examines the characteristics of excellent case studies which featured public engagement, and provides a host of useful frameworks and tools to inform the development of future public engagement activities and case studies. Drawing on excellent practice, it provides critical insights into how public engagement can lead to impact, and how that impact might be evidenced. The UK higher education funding councils are currently concluding an extensive consultation on the shape of REF 2021. This consultation was informed by Lord Stern’s review of REF 2014, published in 2016. The Stern review highlighted the importance of public engagement and recommended that ‘impacts on public engagement and understanding are emphasised and that impacts on cultural life be specifically included’. The NCCPE submitted its response to the consultation in March 2017. Our response, which can be accessed here, is supportive of the overall thrust of the consultation, and makes recommendations about how guidance on public engagement might be improved. It drew on our extensive review of how public engagement fared in REF 2014, and was informed by wide-ranging consultation with people working inside and outside higher education. The full NCCPE response to the REF consultation in 2017.